DES MOINES, Iowa — Referring to the unborn as “potential life,” the chief district judge in Iowa struck down a state law on Tuesday that would ban abortions when a heartbeat is detected, opining that the effort violates the state Constitution as it places an “undue burden” on a mother’s “fundamental right” to abortion before viability—that is, when the baby can live outside the womb on its own. The State had argued that the law would not ban abortions altogether, but would only require that the mother obtain an abortion in the window of time before a heartbeat can be detected. Judge Michael Huppert of the Fifth Judicial District of Iowa issued a short, nine-page ruling in which he pointed to the language of the 1973 Supreme Court decision of Roe v. Wade, which first set the viability standard. “With respect to the State’s important and legitimate interest in potential life, the ‘compelling’ point is at viability. This is so because the fetus then presumably has the capability of meaningful life outside the mother’s womb. State regulation protective of fetal life after viability thus has both logical and biological justifications,” wrote Roe author Justice Harry Blackmun, nominated to the bench by Republican president Richard Nixon. “While the framework first announced in Roe has been modified over the years, the threshold of viability as a check on the state’s compelling state interest in promoting potential life has remained intact,” Huppert stated, noting that a number of courts have struck down similar heartbeat bills, and one that banned abortion after 20 weeks gestation. Therefore, “[r]egardless of when precisely when a fetal heartbeat may be detected in a given pregnancy, it is undisputed that such cardiac activity is detectable well in advance of the fetus becoming viable,” he ruled. Huppert further determined that the law places a “burden” on a mother’s “fundamental right” to an abortion. He noted that the State had argued in court that the Heartbeat Bill does not ban abortion altogether, but rather only requires that a woman obtain an abortion before her child’s heartbeat is detectable by machine. 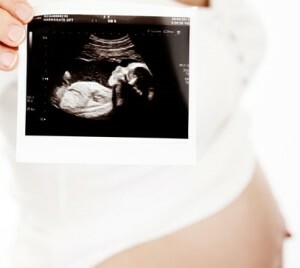 The State additionally contended that while “a fetal heartbeat can be detected as early as six weeks into a pregnancy, … such detection is ordinarily not detected until later, especially when using an abdominal ultrasound as mandated by the statute.” A doctor who testified as an expert said that most heartbeats are detected via ultrasound at eight or nine weeks, although some are detectable at seven weeks and some not until 12 weeks. The statute, 146C, requires for an abdominal ultrasound to be performed before a woman obtains an abortion. With exceptions, if the ultrasound picks up the child’s heartbeat, then the abortion cannot commence. “A physician shall not perform an abortion upon a pregnant woman when it has been determined that the unborn child has a detectable fetal heartbeat, unless, in the physician’s reasonable medical judgment, a medical emergency exists, or when the abortion is medically necessary,” the law reads. Planned Parenthood, which had filed a lawsuit after the measure was signed into law in May by Gov. Kim Reynolds, cheered Tuesday’s ruling, which was issued on the 46th year of Roe v. Wade. “We are pleased that especially today, on the 46th anniversary of the landmark decision Roe v. Wade, abortion care was upheld as a safe and legal part of basic reproductive health care,” Jill Meadows, medical director for Planned Parenthood of the Heartland, said in a statement.